When debris builds up inside the drainage pipes the results can be disastrous for home owners. It can result in dirty water backing up into sinks, baths and toilets, rather than flowing away through the drain pipes. General maintenance and inspection of pipework is inexpensive and prevents unpleasant surprises from occurring. Unfortunately for many people, the first time they are made aware of drain cleaning issues is when there is a major problem. If problems are caught early enough, costly repairs can often be avoided so you shouldn’t leave problems to develop. All Clear use the latest technology to inspect pipework using CCTV, so we can see exactly where potential problems may lie. If you have a blocked toilet, drain or a problem with a sewer, or would like to book an inspection of drainage pipes, please contact us. At All Clear Drainage Ltd, Amersham we offer expert drain cleaning and clearing and are ready to assist you with a fast, friendly and competitive service. 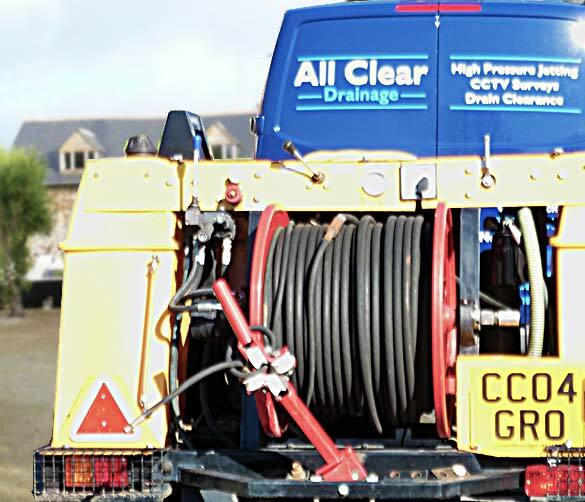 All Clear Drainage Ltd offers routine and emergency drain cleaning and sewer clearance services to drainage pipes in both domestic and commercial properties. All-Clear also carry out gutter cleaning and patio cleaning services throughout South Buckinghamshire and surrounding areas at highly competitive rates.